The best part of the day for everyone is probably the night routine where you remove all your makeup, getting the gunk off, letting your skin breathe and prepping it up to drink all the moisturizer that one can muster. 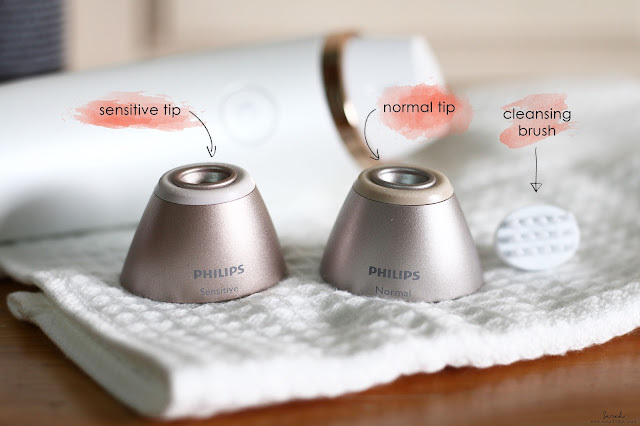 So last I had a chance test two new products from Philips that would probably cost a fortune but it might also be a life changer for your night routine... Introducing the Philips VisaCare Microdermabrasion & Philips Sonicare HealthyWhite+ Sonic Electric Toothbrush. Philips VisaCare Microdermabrasion's Dual Action Air Lift & Exfoliation System massages the skin, encouraging blood circulation while removing dead skin cells and allowing for natural cell renewal. 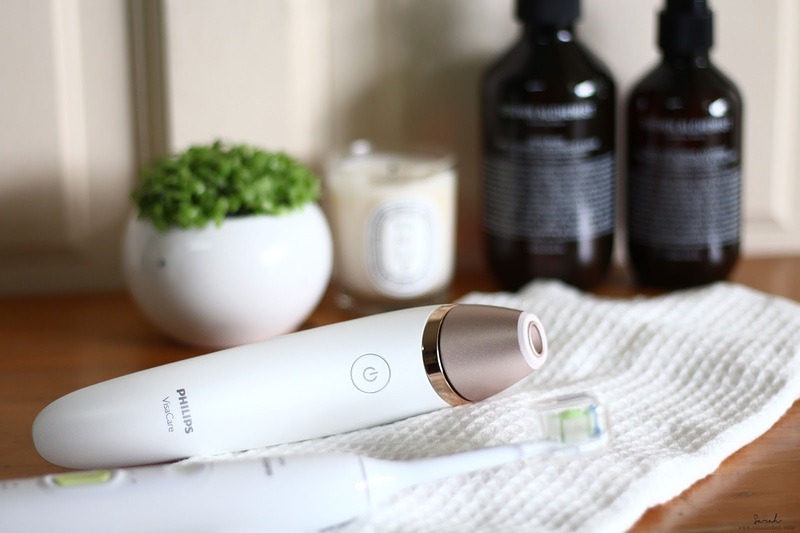 You'll LIKE it if you have limited time and budget to go for facials, then this microdermabrasion device is an easy way to incorporate some exfoliating action into your routine. You'll HATE it if you have sensitive skin or already have quite flawless skin with probably minimum bumps and scarring here and there, because this is pricey and it could end up collecting dust in your bathroom cabinet. My advice ? Try out all other exfoliating methods first like using a muslin cloth, skin scrub and etc. If you are still not satisfied with the results, then maybe you can invest in this Philips VisaCare Microdermabrasion. Used and tested the VisaCare Microdermabrasion for a good 8 weeks. The first time using it was quite hard as you need to get the grip of holding and angling the device, ensuring that you cover every inche of your face. And moving it around was also a tough task because not only that you need to make sure the device vacuums up your skin but also pulling your skin on the other direction to optimize the exfoliation process. The whole learning process could get slightly tedious but after the 3rd and 4th try, you will get the hang of it. Your skin might get slightly red and tingly (even for non-sensitive skin users) after using it but it should only last for a couple minutes, then it should go off. If it persist, then you might need to consult a dermatologist on it. For the past 2 months, I've been using it in the evening, twice a week as suggested and my skin looks quite glowy but as for the firming effect, the result it rather limited. Overall, this is a great device to invest on for exfoliation only if you are not a regular facial goer but if you are already one, then you could skip this chapter. Philips Sonicare HealthyWhite+ whitens teeth in just 1 week and removes stains before they show, for a healthy white smile everyday. You'll LIKE it if normal toothbrush or toothpaste doesn't remove plaque and whitens your teeth as effective as you want it to be. You'll HATE it for the price. My favourite part of my night routine is brushing my teeth, feeling fresh and minty before bed. 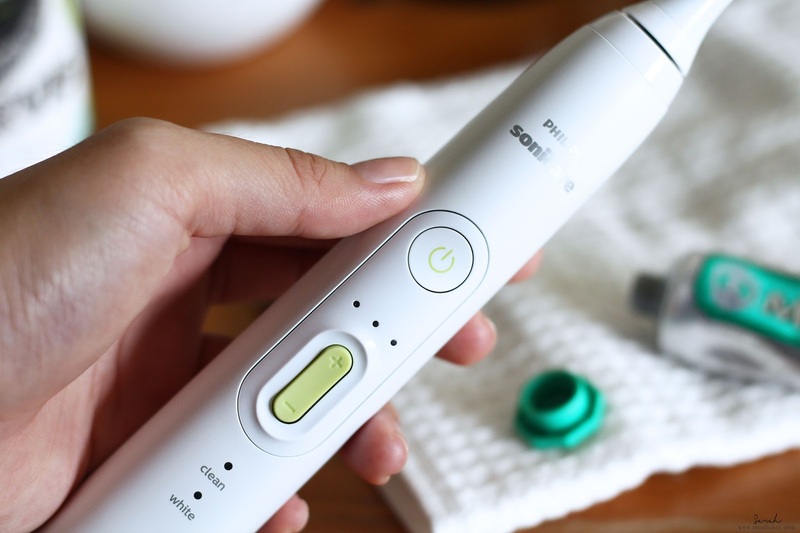 This new Philips Sonicare HealthyWhite+ works great in removing plaque from teeth as compared to other electrical toothbrushes. 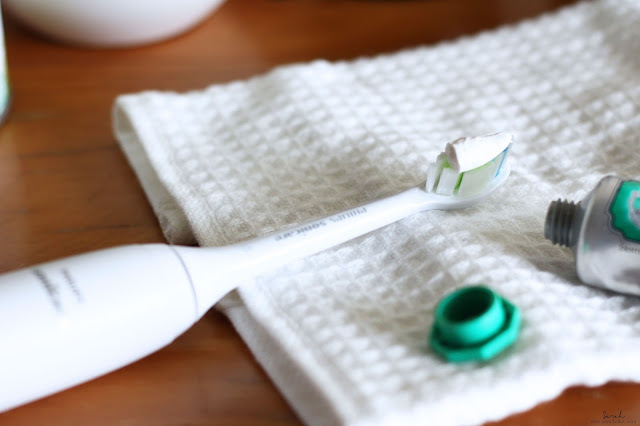 The brush head is slightly bendy and smaller, making it very easy to maneuver, and not to mention that it can reach the back of the mouth much easier. You will feel and notice your teeth whiter after 1 to 2 weeks of using it. Do note that, it's just one shade whiter from your original color, not that pearl white you see on TV. 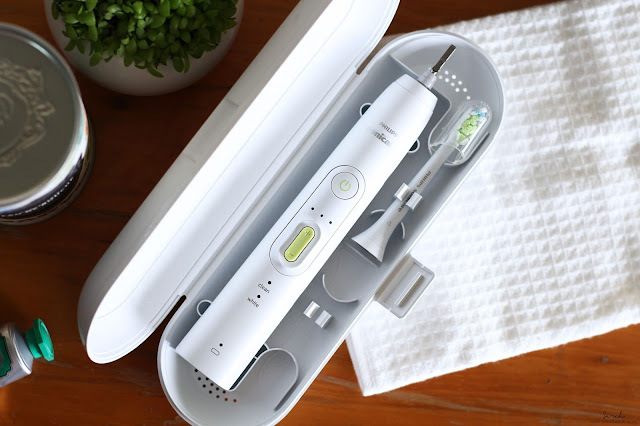 Overall, I would say this Philips Sonicare HealthyWhite+ is great option for a electrical toothbrush as it caters to everyone's need with 3 different intensity setting instead of just an on/off button with a single setting. A little tip if you have housemates who also want to try this, get one device and multiple brush heads. Sharing is caring after all.